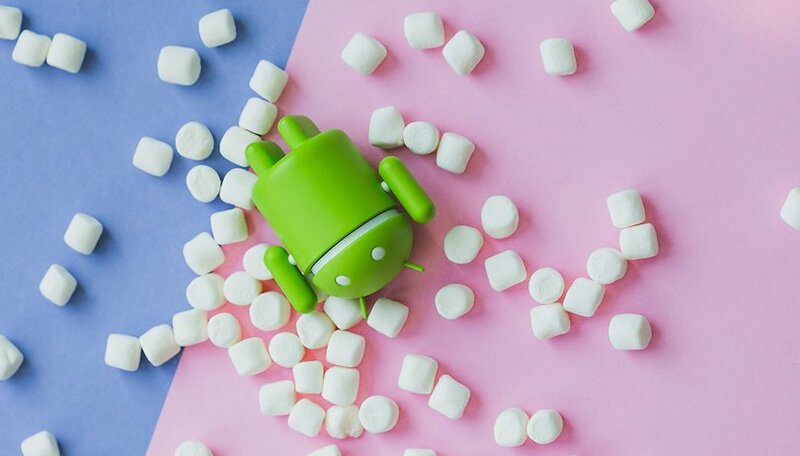 Will your smartphone or tablet get the Android update to Android 6 Marshmallow? Despite Android 7 Nougat having been officially released in mid 2016, smartphone manufacturers are still pushing out Android Marshmallow updates. We've created a helpful overview for the most popular and most used Android devices to let you know if and when your smartphone will get the next Android update. Asus had a trend over the past year that a large portion of their devices which were running on Android Kitkat (and lower) did not receive an update to Android Lollipop. It seems like that trend continues, as quite a few those lucky devices that received the Android Lollipop or were released with them, won't be getting the Android Marshmallow update. While it seems like Asus won't be rolling out any more Android Marshmallow updates any time soon - with Android Nougat being fully released and Android O(reo) having been released as a developer preview - there is still hope for some Asus devices. Blackberry launched its first Android smartphone, the Blackberry Priv, in November 2015. It was a noticeable departure from its Blackberry OS and was seen by many as a last attempt to claw back some of its lost market share. Following the up on the positive reception, Blackberry decided to launch the Blackberry DTEK 50 - a modified and rebranded version of the Alcatel Idol 4 in July 2016. While the hardware received positive reviews, the software was criticized for containing redundant blackberry security features which were already included in the Android OS. Blackberry decided to throw another Android based device on the market in October 2016, the Blackberry DTEK 60, this time including a fingerprint scanner on the back. Both the Blackberry DTEK 50 and the DTEK 60 were launched with Android 6.0.1 Marshmallow, though there is no word of any updates in the near future. The entire Nexus family received the Lollipop update up to Android 5.1.1, and all bar the Nexus 4, 7 (2012) and 10 have now progressed onto Android 6.0 Marshmallow and Android 7.0 Nougat. Following the unofficial tradition, with the release of Android Marshmallow, Google launched two new Android Flagships. In collaboration with Huawei, Google unveiled the Nexus 5X and Nexus 6P in September 2015. Thanks to the official HTC Twitter account, we received a confirmed list of HTC devices which were planned to receive Android Marshmallow. Though the Android 6.0 update was scheduled to roll out at the end of 2015 for the HTC One M9 and HTC One M8, the fine print notes that not all carriers would be able to deliver it. In January 2016, HTC One M9 owners in Canada began seeing Marshmallow roll out. Elsewhere, HTC One M8 owners on Sprint in the US also began receiving the update, while T-Mobile has scheduled the release for January 25 2016. In mid-March 2016, HTC began rolling Marshmallow out to the HTC One E8 and M8 EYE. HTC Vice President of Product Management Mo Versi confirmed via Twitter that the HTC One M8 GPE will receive Android Marshmallow sometime in October 2016. GPE (Google Play Edition) phones were originally designed to offer a pure Android experience on non-Nexus devices, and were second in line only to Nexus phones when it came to Android updates, but they've been dying out lately. HTC given its Google Play Edition device a little breath of life with this Android update. HTC also confirmed that the HTC One M7 would not receive Marshmallow because it is now more than two years old and outside of the update window. On October 28 2016, it was reported that Marshmallow beta testing would begin on the Honor 7 by mid to end November 2016. A tweet from the Indian Honor Twitter page confirmed that Honor customers would begin receiving the latest Android update in February 2017. It lists the Honor 4c, 4x, 6, 6 Plus and 7 as the devices set to receive the new OS. A tweet from Honor's US Twitter account suggests that Android 6.0 Marshmallow is on its way to the Honor 5X very soon but it failed to give any specific information. Keep your eyes peeled. Huawei has also published a list of devices that are set to get Marshmallow. The rollout started in November 2016, but lasted into 2017. At the time of the Android Lollipop release, Lenovo wasn't the biggest or most well known Android OEM in the US market. Nevertheless, Lenovo had shipped out quite a handful of devices for the US and international markets. While a large bulk of these devices received an update to Android Lollipop, the same cant be said about Android Marshmallow. Check out the list below and see if your Lenovo smartphone was due to receive the Android Marshmallow update. After Google, LG was the first company to update one of its devices to Marshmallow. LG G4 users in Poland began receiving the update in October 2016, but there were some technical difficulties and the test was halted. In late November, however, users across Europe began reporting that the Android Marshmallow update was beginning to arrive on their devices. You can check if your device is part of the rollout using LG Bridge, the company's PC sync software. In November 2016, LG made the Marshmallow update available to LG G4 owners in Korea, making the company's home nation the second to receive the update. The software was uploaded to LG's website, which enabled customers to apply the update via their computers. T-Mobile listed the LG G3, LG G4 and LG G Stylo among those devices set to receive Android Marshmallow in the first wave of updates. David Schuster of Motorola used Google+ to announce the roll out of Android Marshmallow for the Moto X (2014) and Moto X Pure Edition. Moto X (2014) owners in Brazil and Moto X Pure Edition owners in Brazil and India were the first to receive the update, with a global release having followed up int he weeks after. Motorola had also revealed its current list of Motorola phones that are in line for the Android Marshmallow update. In early December 2016, Motorola added the Moto E (2015) to its list of devices set to receive Marshmallow, although only selected regions would receive the update. The US was excluded from the list. Find out more information from Motorola. OnePlus CEO Carl Pei unveiled the Android 6.0 Marshmallow update plans for the OnePlus One, OnePlus 2 and OnePlus X in November 2015 in the official OnePlus forum. According to the post, the OnePlus one should receive the marshmallow update (in the form of the Cyanogen OS 13) in the first quarter of 2016. Only after that update, will Oxygen OS be adapted for Android Marshmallow. A public beta of Oxygen OS 3.0 (which is based on Android 6.0.1 Marshmallow) has been available for the OnePlus 2 since the end of March, 2016. OnePlus does not call this pre-release a beta, but community build instead. Note that this is not a final version and the update may contain bugs and errors. OnePlus wants to use this public test to find the last serious bugs in cooperation with the users of OnePlus 2, in order to eliminate them as quickly as possible. If you want to participate in this test, you can download Community Build on the OnePlus website and flash them on your OnePlus 2. Sadly, most of Oppos smartphones are still waiting for an update to Android Marshmallow. From its current lineup, Only the Oppo F1s has received an Android update to Android 6.0 Marshmallow. The Samsung Galaxy S6 and S6 Edge began receiving Marshmallow on February 15, 2016. The Samsung Galaxy S7 and S7 Edge began getting minor updates starting April 11, 2016. These brought touch features for the screen and adjustments to the camera settings. These updates will only come to certain regions. The Galaxy Note 5 Android Marshmallow update began rolling out on March 24, 2016 for Sprint customers. The completion of the rollout will conclude on April 8. Verizon and AT&T customers already started seeing this update at the beginning of March. This came later than the original rumors discussed below, which gave us a date of February 2016. The Samsung Galaxy A5 (2016) saw the roll out begin in June 2016 and is, by now, complete. Sony announced on March 7, 2016 that the roll out of Marshmallow has begun for the Xperia Z5 series, the Z4 Tablet and the Z3+. The announcement was made via Sony's Xperia News Twitter page. The rollout was staggered, with different locations receiving the update at different times. Sony had also released an official list of devices which were set to receive the Android Marshmallow updates. The Xperia Z5 Marshmallow update did include some features like Stamina Mode, which was previously rumored to be on the update and will instead be in a later update. Some interesting features were added, like a podcast widget and camera mode switching through swiping. In mid-July 2016, Sony began updating the Xperia M5 and M4 Aqua to Marshmallow. Xiaomi confirmed that Marshmallow was on its way to the Mi 4 and Mi Note. A full release was proceeded by a beta program, which determined how promptly the final software update was rolled out. There's no word on whether Marshmallow will be heading to any of Xiaomi's other devices, but at the very least you can expect to see the update come to the Xiaomi Redmi Note 2, Redmi 2, Redmi 2 Prime and Mi 4i at some point in the future. As always, we try to do our best and keep these lists are accurate and up to date as possible. If you've received an update that hasn't been mentioned here, let us know in the comments. I had my oneplus x updated to 6.0.1 yesterday! There was an official update waiting for me since last August on the one plus website... Nobody informed me about that. Not even Androidpitbut i think you all are preoccupied with yourselves and the latest smartphones..
Hello, My Samsung Galaxy Tab S 10.5 has the official 6.0 upgrade. It's not mentioned here. How accurate us your news? Running Nougat 7.1 on my galaxy 3 ! Hoping to get my Sprint 8" slate tablet on Nougat!!!! Am I exicted to get Marshmallow on my device? Not as excited as I am to get it off my device, and replace it with Nougat! The sooner the better!! Everyone who is experiencing issues with the latest updates should do a factory reset, this should be done after every major update to clear the system cache from any old system files, it also ensures that the apps (including system apps) update to there optimum versions. Do you mean Lenovo as in newer moto g phones? Reluctantly updated my Xperia C5 Ultra to MushMellow and now Bluetooth connection is like playing a scratched 1970's vinyl record. Totally useless to use in my car now. Any tips on a potential fix would be appreciated. Do a factory reset after every major update to clear the system cache off any old files etc, this should clear any bugs. Will the update be for Kyocera hydro wave? Will you talk about how to get it on my BLU Studio C Super Camera?